David Le/Gloucester Daily Times. 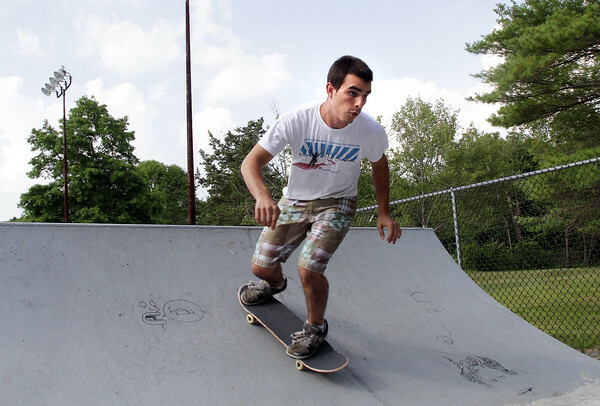 Rodrigo Pardo, of Gloucester zooms down the halfpipe at Sweeney Park in Manchester on a hot July afternoon. 7/12/11.